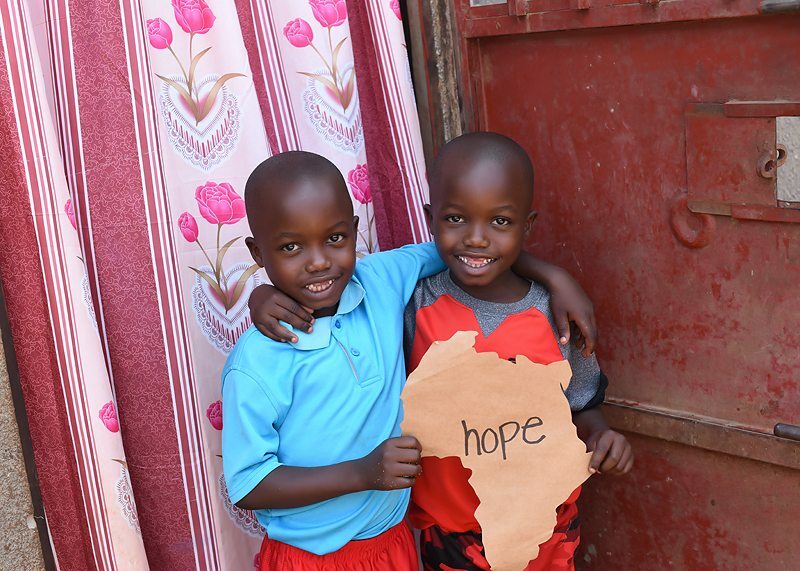 The journey for a brighter future and hope begins with five kids, Olivia, Emmanuel, Ibrahim, Hassan, and John, who now have a chance to go to school and eventually have a place they call home through Bridge of Hope Africa Ministries (BOHAM)! BOHAM has partnered with local school El Shaddai Nursery and Primary in Uganda to help destitute children go to school. Each kid has a story. Speaking to some of the kids, they seem to have lost hope for life, even at such a young, tender age. Olivia and Emmanuel (9 and 7 years old, currently in Nursery) have never sat in front of a black board, so literally they don’t know how to read and write. The two lost their dad recently to HIV/AIDS and their mother, who is still alive, has likely contracted the disease as well. According to the school head teacher Mr. Nicholas, Ibrahim (9 years old, currently in grade 2) is HIV/AIDS positive. Hassan (6 years old, currently in Nursery) is also suspected of having HIV, but tests need to be conducted to know for sure. Both, Hassan and Ibrahim currently live with their grandmother. Hassan’s mother was a victim of sexual abuse and as a result became pregnant with Hassan. Ibrahim, who is a cousin to Hassan, has three younger siblings, who have been single-handedly raised by their sick mother after their dad abandoned them. As for John (12 years old, currently in grade 7), he was picked off the streets at two months old by a Good Samaritan. Unfortunately, this person was unable to continue helping him, so he was introduced to the school for help, where he now stays. BOHAM’s partner El Shaddai School has almost 100 kids, however, the majority of the kids cannot afford school fees, shoes, and other scholastic needs. When BOHAM came in and shared with the headmaster our vision, he was willing to work with us and help us identify kids in his school and community that are orphans or in need. Partnering with BOHAM is a relief to El Shaddai, taking some of the burden off the fledgling school. June 2015 was an exciting month for BOHAM as it got its start and was able to pay half of the school fees for one school term for Olivia, Emmanuel, Ibrahim, Hassan, and John. BOHAM also donated books, pens and pencils to another 50 children. We are excited about our initial success, but know we have a long way to go to help this community. Will you help us? Consider becoming one of BOHAM’s first sponsors to one of these five children! It is our hope that we can do more next school term and continue providing scholastic needs, school fees, shoes and school uniforms to more children in need.